One year ago, a State Department press event included quite possibly the most epic "deer in the headlights" moment in all of government press briefing history. During the final press briefing in May of 2017, the State Department put high level official Stuart Jones at the podium to give the daily briefing, and he was asked how the US could call for democracy in Iran while ignoring the fact that one of Washington's closest Middle East allies is an oppressive autocratic state with an opaque legal system run by strict Islamic sharia courts. Stuart Jones, who was appointed as U.S. Ambassador to Iraq by former President Barack Obama in 2014 before assuming the title of assistant secretary of state for near eastern affairs in January, took a long, silent pause after an Agence France-Presse reporter asked the official how President Donald Trump could criticize Iran's democracy, while standing next to Saudi Arabian officials. Saudi Arabia is an absolute monarchy, where every position of power is appointed by either the king or other members of the Al Saud royal family from which the nation derives its name. Trump recently visited Saudi Arabia, a close ally of the U.S., and took the opportunity to deeply criticize the two nations' mutual foe, Iran, and its commitment to democracy weeks after it held its presidential election. As Wide Asleep in America blog so aptly described: "In lieu of delivering an actual answer, Jones became visibly uncomfortable, signed audibly, stared blindly into nothingness and said nothing for roughly 18 seconds. You could see the squeaky gears laboring to rotate in his head. You hear the faint trickle of urine run down his thigh. You could feel Jones praying to be suddenly whisked away by a dragon-drawn chariot sent to him by the sun god Helios." It's so beautiful and epic we thought it deserved its own anniversary of remembrance. But on a more serious note, about six months after Stuart Jones' internal meltdown moment, a leaked State Department memo obtained by Politico spelled out how Washington merely values the concept of human rights insofar as it can be molded toward propaganda ends. The leaked government memo, made public for the first time in December 2017, instructed top State Department leadership that "Allies should be treated differently — and better — than adversaries." More recently, one year after the incredible and embarrassing State Department scene, the Council on Foreign Relations (CFR) has delivered an even more astounding propaganda fail which went largely unnoticed in the media. The CFR is among America's oldest and most establishment think tanks, with a who's who of government insiders filling up its ranks, and has often played an advisory role on important policy questions to elected officials. The CFR's Richard Stengel, a former editor of TIME magazine, told an audience at a CFR event in late April called Political Disruptions: Combating Disinformation and Fake News that governments “have to” direct “propaganda” toward their own populations. 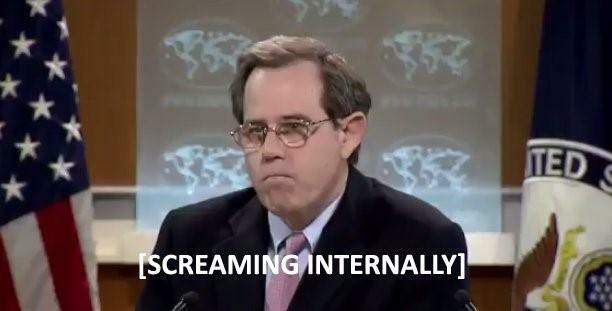 Stengel's personal bio site notes that he “helped create and oversee” the Global Engagement Center at the State Department whose official mission is to "counter propaganda and disinformation from international terrorist organizations and foreign countries" (with a “special focus on Russia”). But more worrisome for a guy who openly expresses views clearly implying that he's "not against propaganda" on the US government's "own population" is that he was recently named a "distinguished fellow" as part of the Atlantic Council's Digital Forensic Research Lab (DFRLab). Though it currently receives little commentary or attention, it must be recalled that Obama administration lifted the prohibition on domestic propaganda in 2013. Disturbingly, we are probably only just now experiencing the beginning phase of what the State Department and intelligence agencies' propaganda planners had in mind when the domestic propaganda ban was overturned but these few short years ago.